Ideal if you're planning a relaxed holiday without restricted meal times and a perfect alternative to catered chalets in the Italian Alps. Often the cheapest way to ski, if you don’t mind doing the cooking yourself, apartments can be great for groups and families self-catering for people with different dietary needs. For days when you don’t want to cook, the fantastic restaurants in the town suit all palettes, from pizzerias to fine dining restaurants offering exquisite Italian cuisine. The Olympic apartments were built specifically for the 2006 winter Olympics and are ideal for the keen skier with ski-in ski-out proximity just one minute from the nearest lift. A lively location in the centre of the town and perfect for groups and families who want to stay near the nightlife. 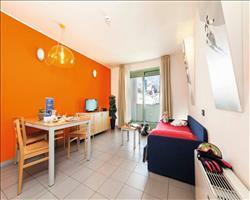 For a quieter and more homely feel go for an apartment out of the centre like family-run Banchetta apartments. 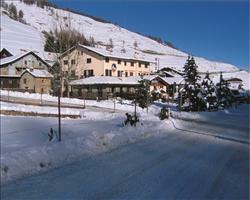 Great for an authentic Italian feel in the mountains with comfortable surroundings.